One Kecamatan One Center for Entrepreneurship (OK OCE) program is socialized in three sub-districts in Central Jakarta. Hundreds of prospective entrepreneur who have been registered are also got the coaching.
" There are 124 people from Kemayoran Sub-district, 69 people from Gambir, and 100 people from Tanah Abang"
"There are 124 people from Kemayoran Sub-district, 69 people from Gambir, and 100 people from Tanah Abang. We have run socialization and OK OCE basic entrepreneurship training," said Iim Rusyamsi, General Secretary of OK OCE Movement Association (PGO), Tuesday (2/6). Through basic training, participants should understand 7 PAS. It is the short phrase for registration, coaching, mentoring, permission, marketing, financial report, and capital. "Coaching method is implemented by certified professional coaches. At least they have bachelor's degree (S1) and experienced their own business," he explained. 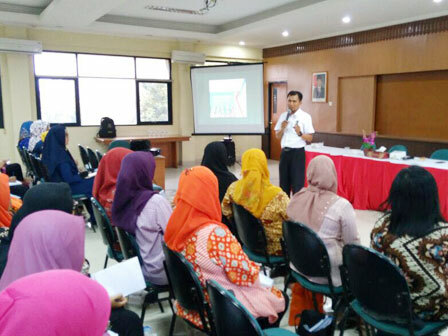 "Hopefully OK OCE members who get direct coaching are able to implement their knowledge in business," he expressed.